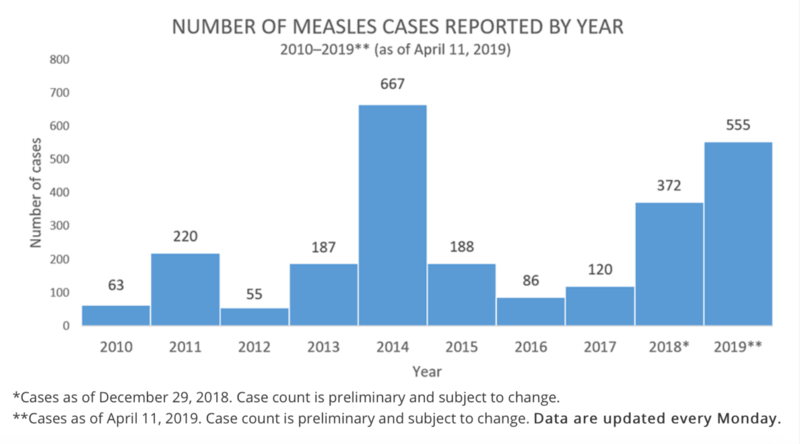 The Centers for Disease Control and Prevention (CDC) reported on Monday that 555 cases of measles have been confirmed in 20 states — an outbreak only second to the highest number of cases reported in 2014, when 667 cases were reported for the entire year. “The states that have reported cases to CDC are Arizona, California, Colorado, Connecticut, Florida, Georgia, Illinois, Indiana, Kentucky, Maryland, Massachusetts, Michigan, Missouri, Nevada, New Hampshire, New Jersey, New York, Oregon, Texas, and Washington,” the CDC reported. Measles was officially eliminated in the United States in 2000, but the CDC said the disease is roaring back. “These outbreaks are linked to travelers who brought measles back from other countries such as Israel, Ukraine, and the Philippines, where large measles outbreaks are occurring,” the CDC website stated, adding that people should be vaccinated before traveling internationally. It wasn’t until vaccinations were developed and improved that the disease was declared eliminated in 2000 “thanks to a highly effective vaccination program in the United States, as well as better measles control in the Americas region,” the CDC reported. • 2018: The U.S. experienced 17 outbreaks in 2018. Three outbreaks in New York state, New York City, and New Jersey, respectively, contributed to most of the cases. Cases in New York and New Jersey occurred primarily among unvaccinated people in Orthodox Jewish communities. These outbreaks were associated with travelers who brought measles back from Israel, where a large outbreak is occurring. Eighty-two people brought measles to the U.S. from other countries in 2018. This is the greatest number of imported cases since measles was eliminated from the U.S. in 2000. • 2017: A 75-case outbreak was reported in Minnesota in a Somali-American community with poor vaccination coverage. • 2008: The increase in cases in 2008 was the result of spread in communities with groups of unvaccinated people. The U.S. experienced several outbreaks in 2008, including three large outbreaks. 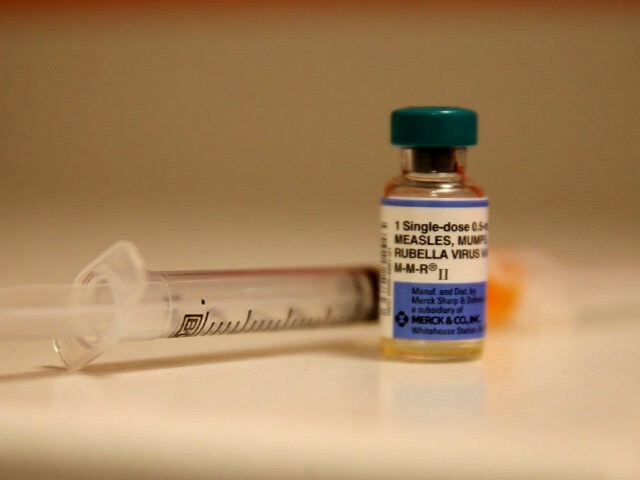 “The majority of people who got measles were unvaccinated,” the CDC noted.